Captain Abid Sultan was going through tremendous personal mental stress and anxiety, and a series of erroneous decisions on his part led to the crash of the flight. 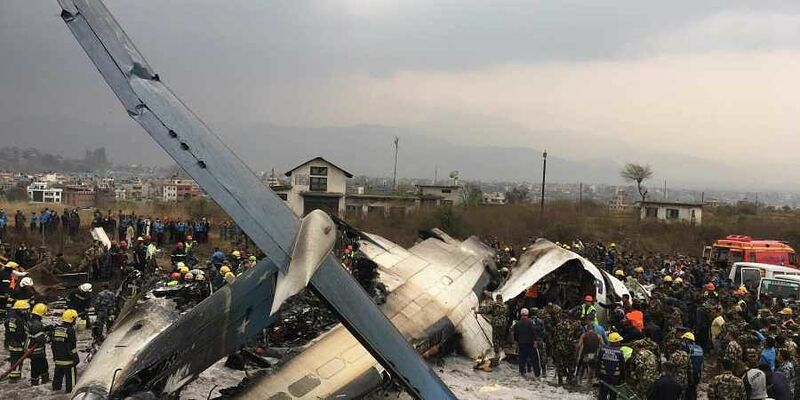 KATHMANDU: The pilot of the US-Bangla plane that crashed in Nepal in March had cried and suffered an emotional breakdown during the flight, killing 51 people, according to a report by Nepal's investigators. The Dhaka to Kathmandu US-Bangla Airlines flight, with 67 passengers and four crew members on board, caught fire after it careened off the runway and ploughed into a football ground near the Kathmandu's Tribhuvan International Airport on March 12. The voice recorder has captured nearly an hour-long conversation between the captain and his co-pilot in the cockpit, further demonstrating Sultan's tensed mood throughout the flight and a complete lack of situational awareness. "I don't f---ing care about safe flight, you f--- your duty," Sultan said at one point inside the cockpit, according to the report. In February, 2016, Tara Air's Twin Otter 400 crashed in Rupse of Myagdi, killing 23 people. Nepal Airline's DHC-6 Twin Otter 300 (9N-ABB) crashed near Sandhikharka of Arghakhanchi, killing 18 people in February, 2014.